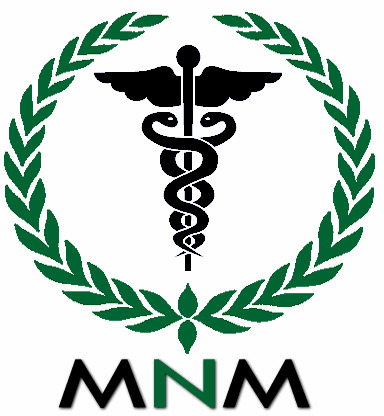 Protects from Radiation,Supports Breast and Prostate Health, DNA Repair, Cardiocascular (Arteriosclerosis), Preventing Macular Eye Degeneration, Type II diabetes, Total Body Detox, Effective In Treating Helicobacter Pylori, Restores Skin Integrity (beauty from within), Hormone Balancing (for women), Immune system support. Sulforaphane Glucosinolate (SG), also referred to as Glucoraphanin, is a naturally occurring compound in cruciferous vegetables. It is found in brussel sprouts, kale, cauliflower, kohlrabi and even wasabi but is highest in broccoli, specifically seeds and sprouts. (SG content declines significantly as the broccoli plant matures). BroccoGen 10™ is from a non-GMO source that has been specially bred through traditional farming techniques to have up to 300 times more SG than has been measured before. 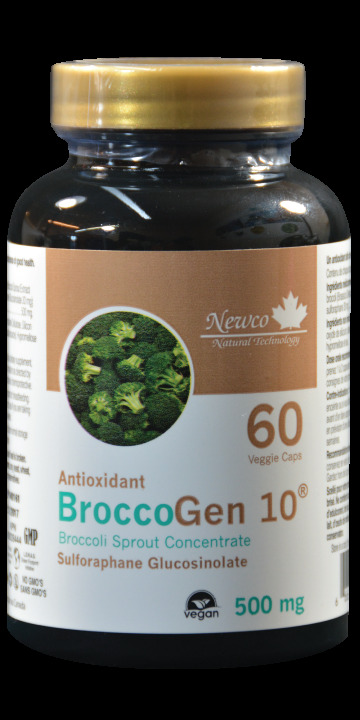 BroccoGen 10™ has 10% Sulforaphane Glucosinolate (Glucoraphanin) content and holds 10 patents. For SG to be beneficial to the body, it must first be converted into the compound “Sulforaphane” which is classified as an “Isothiocyanate” (chemical group). One of the ways this is accomplished is through interaction with the microflora in the intestinal tract (1,2). Once sulforaphane is present in the body, it has a number of health benefits including activating protective proteins like NRF2 (a transcription factor that helps control DNA information transfer). It is also considered a monofunctional inducer which means it can induce the beneficial Phase II Enzymes while not affecting the potentially dangerous Phase I Enzymes (3) (Phase I Enzymes can actually activate a carcinogen in the body which may cause genetic damage before it can be detoxified from the body by Phase II Enzymes.) It is one of the most potent naturally occurring inducers of Phase II Enzymes that help with the body’s natural defense system. These enzymes act as indirect antioxidants by supporting continuous and long lasting antioxidant reactions in the body, even after the Sulforaphane is no longer present (up to 72 hours), promoting cellular integrity and repairing DNA damage from things like ROS (Reactive Oxygen Species), chemicals, viruses and radiation - the four main contributing factors to DNA break down which is the carcinogenesis that leads to cancer. This carcinogenesis (DNA Breaking Down) can take up to 15 or 20 years before the tumor arrives. Sulforaphane has even been shown to act as an antibacterial against Helicobacter pylori, a strain commonly associated with gastritis and peptic ulcers and that also dramatically increases the risk of gastric cancer (4). Helicobacter pylori has been categorized as a class one carcinogen by the World Health Organization as a cause for stomach cancer (5). BroccoGen 10™ is truly Broccoli’s most powerful total-body wellness nutrient.